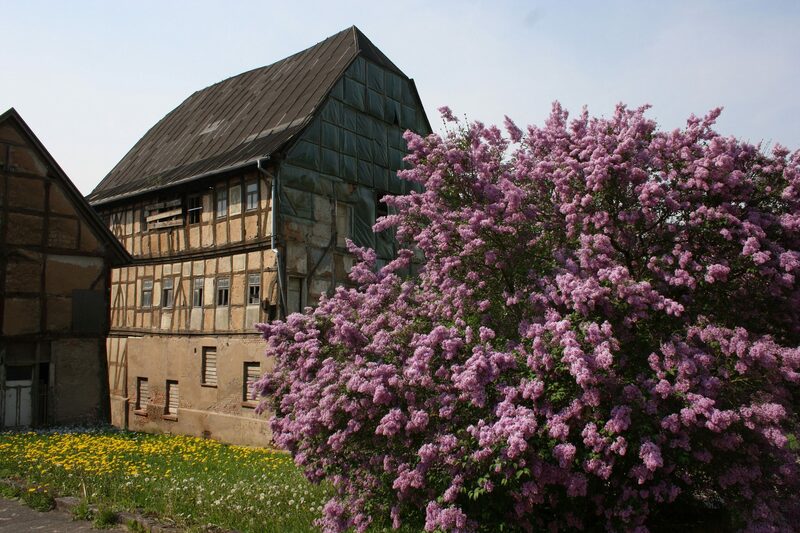 In April 2018, SAVE Europe’s Heritage, in collaboration with the architectural firm ÜberRaum and the engineering firm Morton Partnership, presented possible plans for the renovation and future use of the Hessischer Hof. These were also submitted in the spring to the town council of Treffurt. 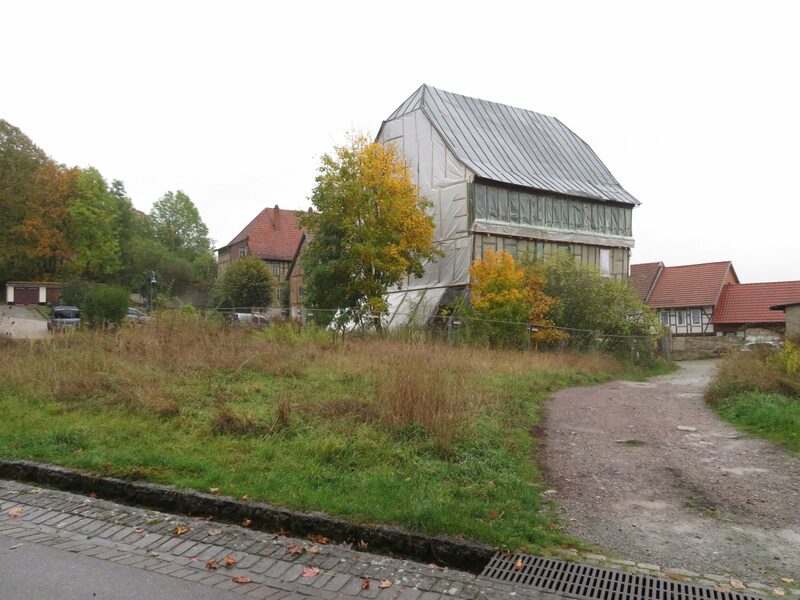 The careful renovation should be done while retaining the largest possible part of the historical framework. The plans are based on the installation of a new central staircase. 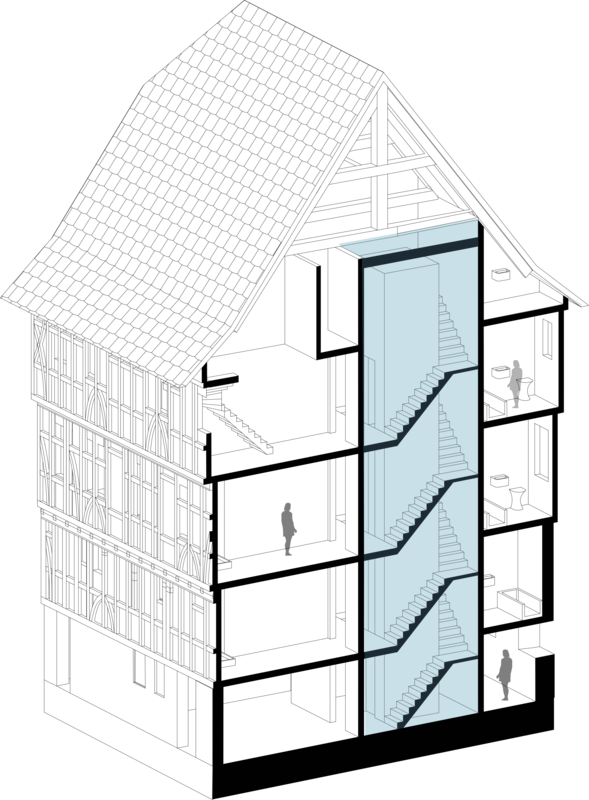 This would provide a safe escape route in case of fire and form a new core for the building’s static system. After the immediate and urgently needed securing and sealing work, the installation of this staircase core is the second step in the renovation process. 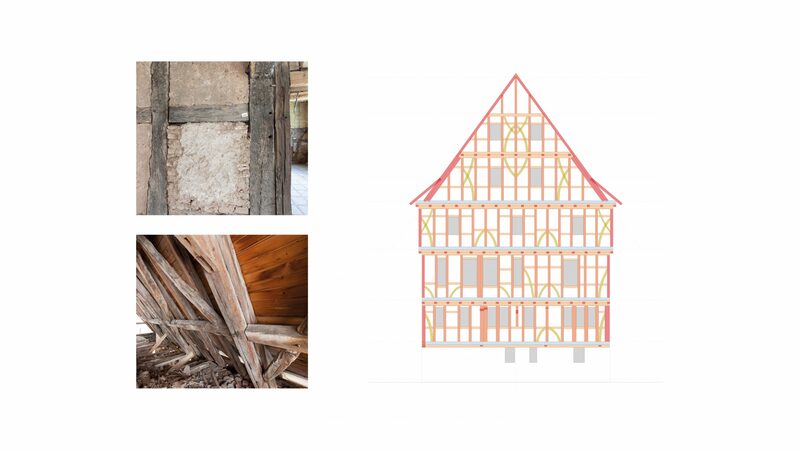 In a third step, the building envelope including the traditional truss is to be restored. 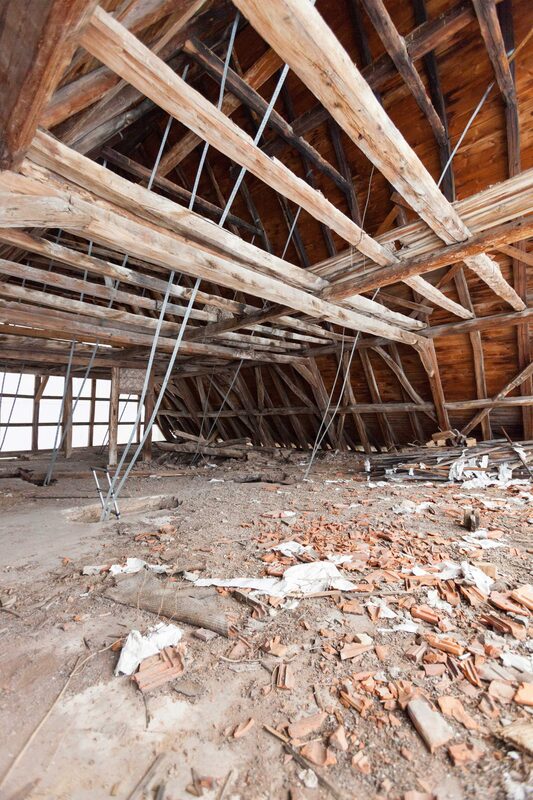 The roof and the framework should be renovated energetically and according to historical model. The interior design forms the fourth and final phase. The possible future uses are variously conceived and are intended to offer the community, as well as locals and vacationers possibilities of use. 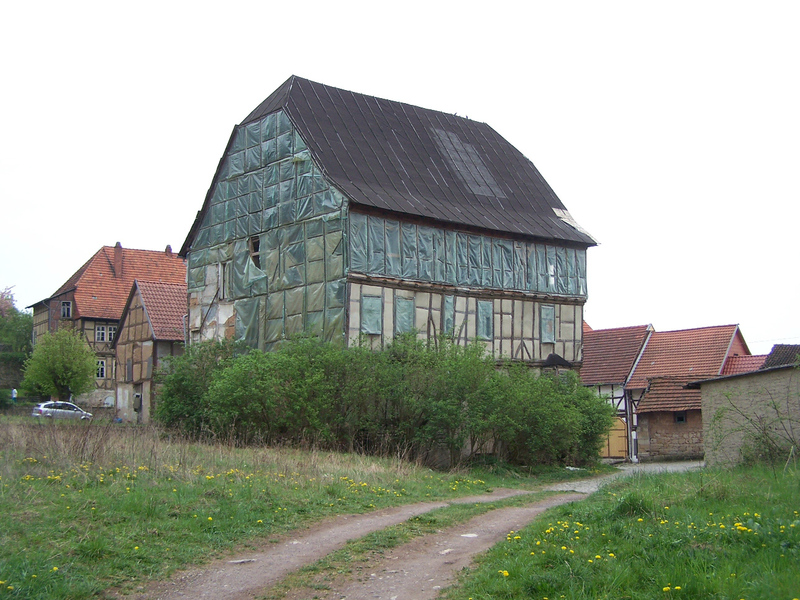 This would also take account of the historical use of the Hessischer Hof as a residential and administrative building. For the ground floor zone, the concept provides for a division, which allows a separate development on the west side of the courtyard. 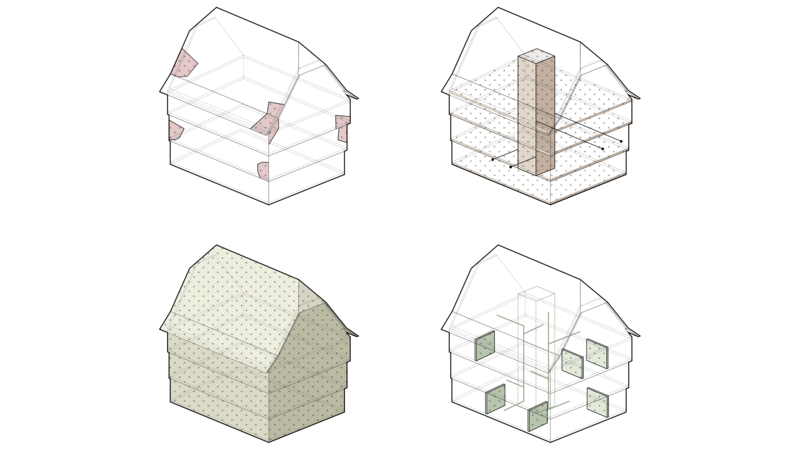 This would allow flexible communal, cultural or tourist use of the ground floor. Here, for example, there would be room to inform visitors about the history of the Hessian court and Treffurt. Currently, small apartments are being planned in the lower floors and in the upper floors, up to the attic, there are possibilities for more spacious units to luxury condominiums directly under the roof with views over Treffurt. 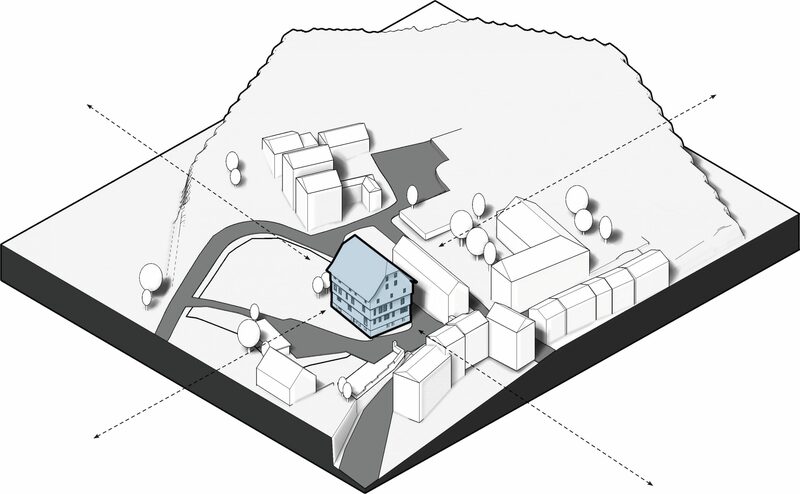 The planned plans would thus create living space for holidaymakers and locals and give the Hessian court a new identity within the community life in Treffurt.